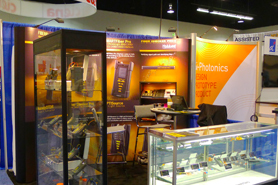 Hobbes Computer Network Accessories will attend 2013 OFC/NFOEC in Anaheim Convention Center on March 19th to March 21st, located at Anaheim, CA, USA. with Hobbes pantent. Please welcome to visit us at booth 1214 and we are looking forward to see you.